In the General tab, you can change the UI language between English and Korean, enable and configure Sounds settings and set the UI Theme colour. You must restart the application to apply these changes. In the Home tab, click Options. 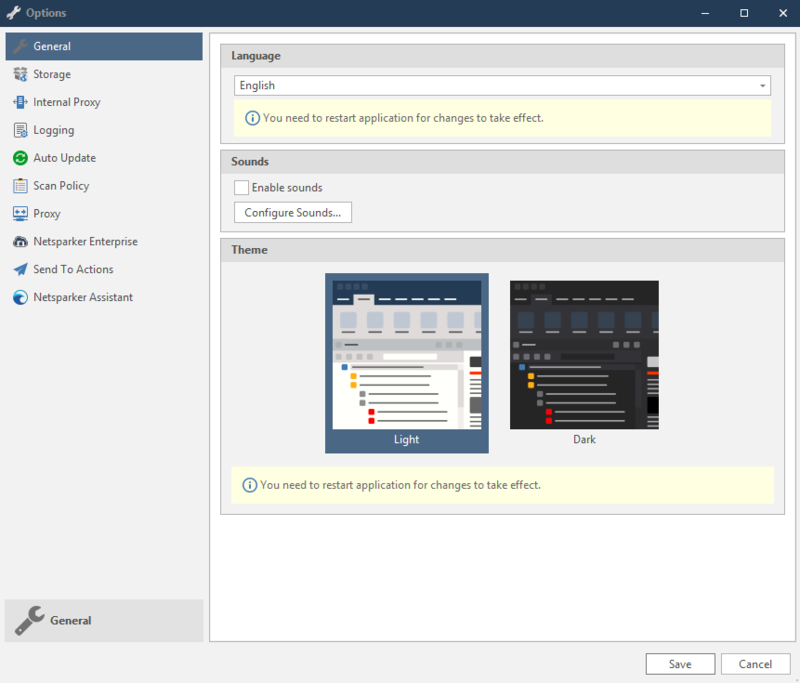 The Options dialog is displayed, with the General tab open. From the Language dropdown, select English or Korean. Close and reopen Netsparker Standard. 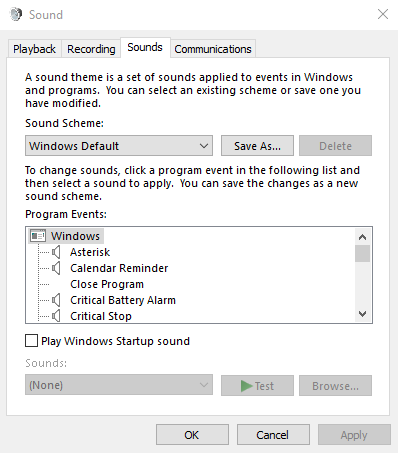 Enable the Enable sounds checkbox. Click Configure Sounds. The Sound dialog is displayed with the Sounds tab open. Click OK. You are returned to the Options dialog.